Can cats see in the dark? And can cats see color? We go through some of your most pressing cat vision questions! Cat vision is vastly different from human vision. Feline eyesight is specialized to help these nocturnal animals hunt at night. So, can cats see in the dark? And can cats see color? 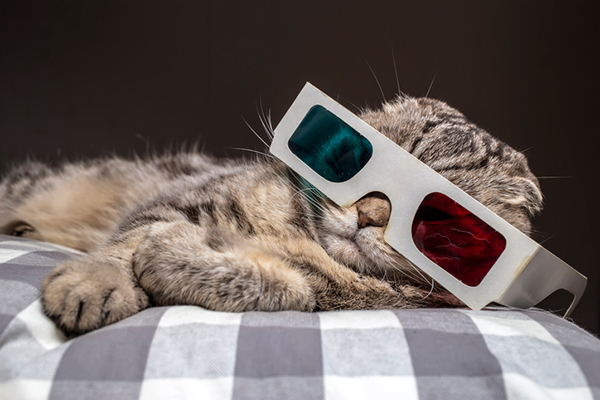 Read on to find the answers to that plus other interesting cat vision facts. Can cats see in the dark? Cats can see in low light — but not no light. Photography ©s_derevianko | Thinkstock. Can cats see in the dark? Not exactly. Cats need some light in order to see, but they only need one-sixth the amount of light humans do. Cats see so well in low light due to the design of their eyes. “The curved cornea and large lens direct light, and the pupils open to full circles to take in maximum available light,” says Hazel C. Carney, D.V.M., MS, Dipl. ABVP, of WestVet Emergency and Specialty Center in Garden City, Idaho. “The tapetum increases available light to the cat. This is an extra layer of reflective cells in the retina that bounces light back to sensory cells so the retina receives 50 percent more of the available light.” The tapetum is the reason your cat’s eyes glow green when you take his photo with a flash. Cats see about 300 degrees around their heads — that’s nearly a full circle! Each cat eye sees about 155 to 208 degrees, with 90 to 130 degrees of overlap. Cat eyes also detect very fast movement (4 millimeters per second). 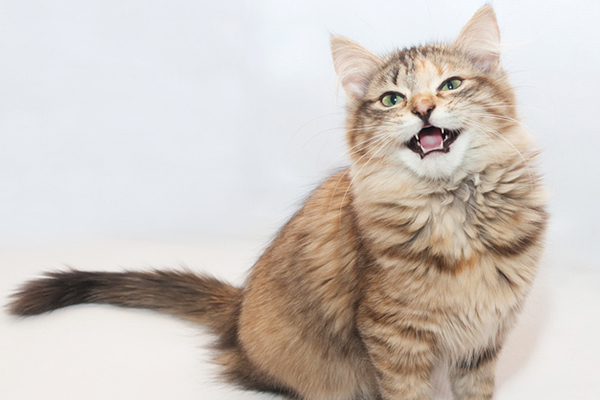 These traits help cats catch those tiny, fast-moving mice. Although cats can see 120 feet away, 40 percent of cats cannot see within a foot of their noses. “On the eye chart, normal cats see about 20/60 to 20/100,” Dr. Carney says. To compare, normal human vision is 20/20. “All cats with blue irises or non-pigmented tapeta have increased light sensitivity and may squint in response to suddenly encountering bright light,” Dr. Carney says. Blue-eyed white cats are also more likely to be deaf. Although cats can see 120 feet away, 40 percent of cats cannot see focus within a foot of their noses. BILLIE…Sounds like you have a Turkish Van. TV’s are known for being completely white with color on head and tail. And bi-colored eyes are very common. We discovered since we have had our girl that they see more color than regular domesticated cats do. We can put three cups of different colors in front of her and place her ball under one and mix it up. She will almost always knock over the correct one. TV’s are very intelligent. Sounds like you have a Turkish Van. TV’s are know for being completely white with color on head and tail. And bi-colored eyes are very common. We discovered since we have had our girl that they see more color than regular domesticated cats do. We can put three cups of different colors in front of her and place her ball under one and mix it up. She will almost always knock over the correct one. TV’s are very intelligent too. I had a bi- eyed cat a few years ago she was predominantly a white cat with grey patches on her why the two different colors of eyes? I do have a picture of her that I can share if you want. 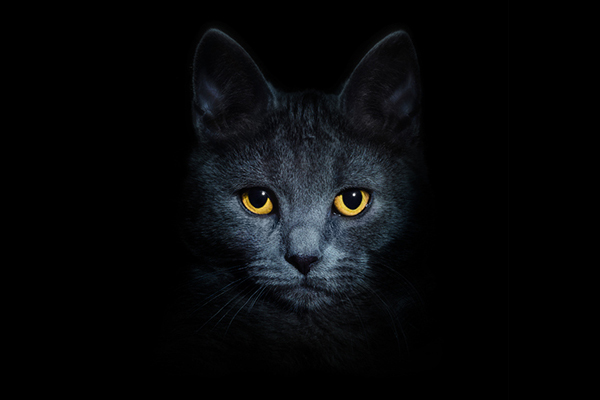 Pingback:Can Cats See in the Dark? The Answer to That and Other Cat Vision Questions - Baptize A Cat?